What was the fate of Bobby? Did Richard Roman’s gunshot do more damage than just a graze to the side of the head? That was what Supernatural fans had to wait two weeks to find out, but do we actually know any more than before? One thing we do know is that Bobby’s life has never been easy, but he’s turned out to be the best uncle the Winchesters could ever have. This was definitely an emotional journey for Bobby, as well as the fans who cherish him. I loved that, even when his alert state began, Bobby knew he something wasn’t right. He had memories of being shot, he had the bleeding wound to prove it, but the world he was in didn’t match up to those events. "Something bad’s about to happen...Or something bad’s happened already." However, it didn’t take him long to piece together what was happening and to know that he had to get out, to save himself, but more importantly to save his boys by passing along the information he had. The numbers that he saw in Richard Roman’s office, before his injury, were important and would serve the boys well in their attempts to take down the Leviathans. Even if he couldn’t escape the Reaper forever, he could dodge him long enough to get word to his adoptive sons. 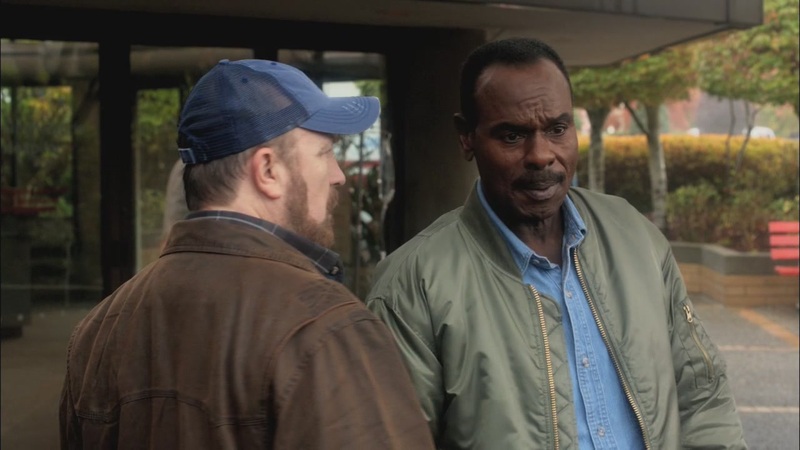 I also loved that Rufus was there, in Bobby’s dream state, because when the chips are down Bobby needs his partner. It was a nice touch to let Steven Williams wear his earring, to differentiate that this was a Rufus that hadn’t been burned out and turned bitter over the events that transpired in Omaha. Whatever Rufus we get, it’s all good to me. I miss him so much. And Bobby misses him, too. He needed the chance to tell Rufus how much he meant in Bobby’s life. It was the closure we all needed, and such a touching event as well. "You're coming with me, Rufus...I need my partner on this. Please." The big issue, Bobby’s worst memory and the one he’d have to confront in order to make it through to wakefulness, was what transpired with his father when he was a boy. “God’s gonna punish you.” This was the proclamation that’s hung over Bobby’s head for all these years, and what a guilt trip he had to carry. We knew, with clues scattered earlier in the season, that something bad had happened between Bobby and his father. While we may have suspected abuse, I don’t think anyone was prepared to see how far Bobby was pushed in order to save himself and his mother. But one event shaped his entire life and set him up for a lifetime of hurt and disappointment to overcome. He saved his mother, and ended the abuse, by shooting his father in the head to kill him. Not only that, he was forced to bury the body himself, and for all his efforts he only got misery from the person who was supposed to love him the most. And his father’s abuse had far-reaching consequences. He was taunted that he was worthless, which he seemed to take to heart, and he refused to continue the cycle of abuse by having kids himself. The incident with Karen, involving his not wanting to have kids, was interesting because of the overlapping canon. On one hand, with just on-screen canon, you could take it to mean that Bobby told her he never wanted kids. 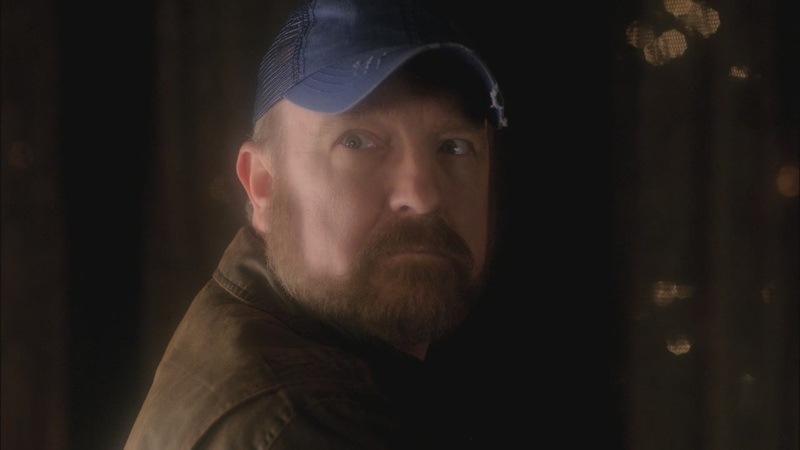 However, if you go by the canon created in Bobby Singer’s Guide to Hunting, that was probably the scene where Karen told him that she was pregnant, just three days before she got possessed. Perhaps Bobby told her that he didn’t want the baby, or maybe the book canon didn’t count. Either way, it was a hard time in their lives. However, he pushed past the refusal of fatherhood by helping to raise two exceptional young men, and for that he can be eternally proud. John may not have been the best father figure in the world, but their Uncle Bobby was there to show them how to be children while they still could. "Today... you're gonna throw a ball around, just like a regular snot-nosed little jerk." I adored the brotherly banter and the love of the boys in this episode. In the real world, they were fighting with the emotions of having to deal with Bobby’s possible death. Sam was a whole lot more ready to confront it than Dean, though we saw that even Sam’s hold on reality was slipping. Dean refused to think about a world without Bobby. Many of us felt the same way. They lost too many people already and Dean’s not ready to lose this last one. But I had so much love for the fact that Bobby’s best memories are those involving Sam and Dean. And what better illustration of the joy of just being with his boys than the eternal Chuck Norris versus Jet Li debate? Sam and Dean were such brothers during that moment, such boys, that Bobby could look at them with pride and know that he had a hand in making them the heroes that they are. It’s his legacy. I don’t know the choice Bobby made. If he chooses to go with the Reaper, the boys are going to be devastated. But if he chooses to stay around and fight, he’s never going to be the same. His brain has already been damaged, there’s dead tissue in there even before they can attempt to remove the bullet. He’s never going to be the Bobby we knew, never again. Perhaps he’s ready to choose peace, to leave behind the boys knowing that he gave them this last bit of information. It might be the best choice for him. I’m going to miss Bobby so much, but I’m at peace with his choosing eternal rest, should it happen. 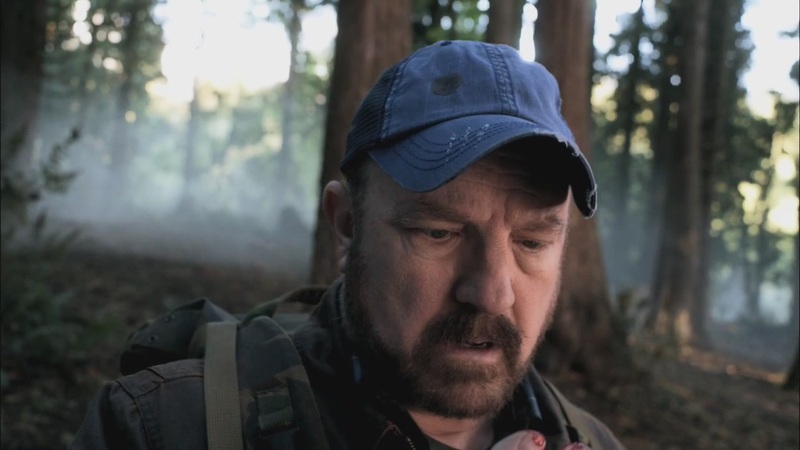 Bobby Singer was a hero, but more importantly he was a father, not by blood but by action. "Well, Bobby? 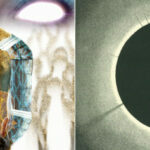 Stay or go – what's it gonna be?" 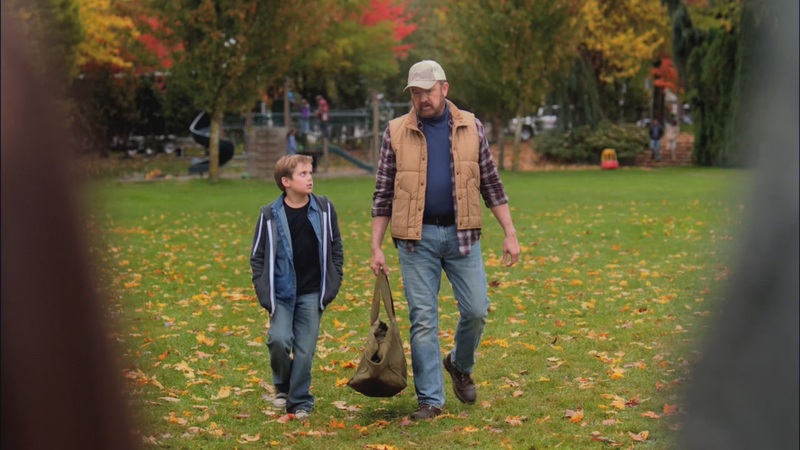 I thought the episode was brilliant — a wonderful look at Bobby’s background and the tragedy behind him never having a family of his own (aside from the boys). I also loved that scene at the end, where they were arguing over Chuck Norris vs. Jet Li. And Bobby was truly a hero, fighting so hard just to wake up long enough to write those numbers on Sam’s hand — both a triumph and a tragedy. The episode reminded me of “In My Time of Dying,” the first episode of Season 2, where Dean went through a similar choice. Like Bobby, who was fighting because the boys needed him, Dean was fighting the reaper because Sam needed him. In “In My Time of Dying,” the reaper told Dean that if he chose to stay, eventually he would become the same kind of violent spirit that he and his family hunted. I hope that’s not the case with Bobby, because I have a feeling Bobby will choose to stay with the boys. And they’ve had enough loss this season… Fighting Bobby’s ghost would probably be the straw that broke the camel’s back. It was indeed a fantastic send-off for Bobby. And I, too, was reminded of “In My Time of Dying” for many reasons. The power of family can defy death or it can make letting go a bit easier. Bobby was a wonderful adoptive father for the boys, a lasting legacy. I hope he chooses to rest, though I will miss his terribly.